Sophomore Hannah Devine drives hard the basket during the first half. Devine scored 17 points and pulled down six rebounds in the win. 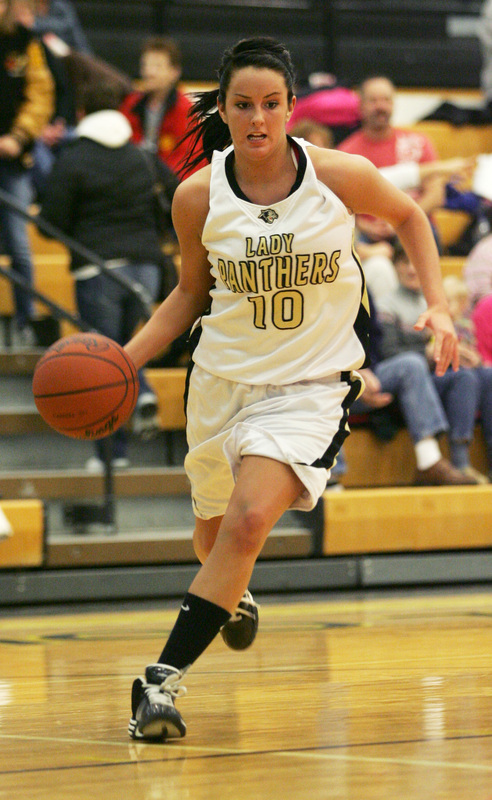 Senior Marissa Brindley drives to the basket during the first half. Brindley scored eight points in the game. 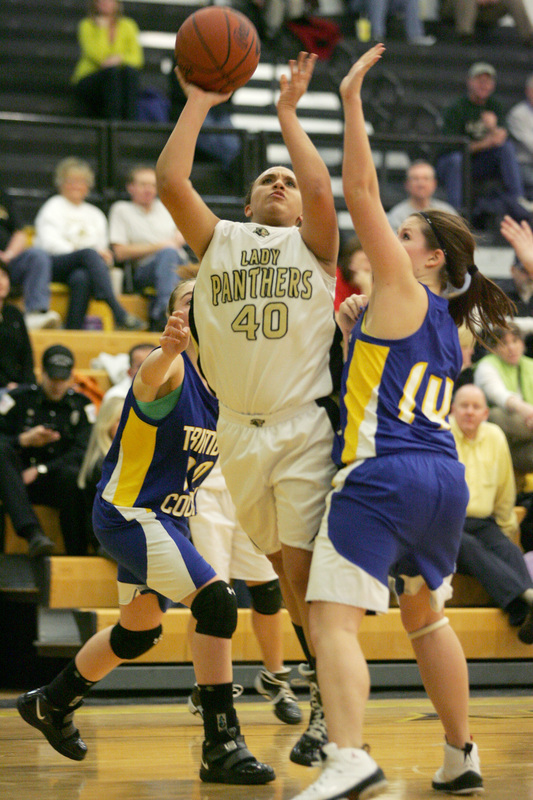 Junior Latasha Hunter attempts a shot during the first half. Junior Kyndal Curry hits a layup during the second half. 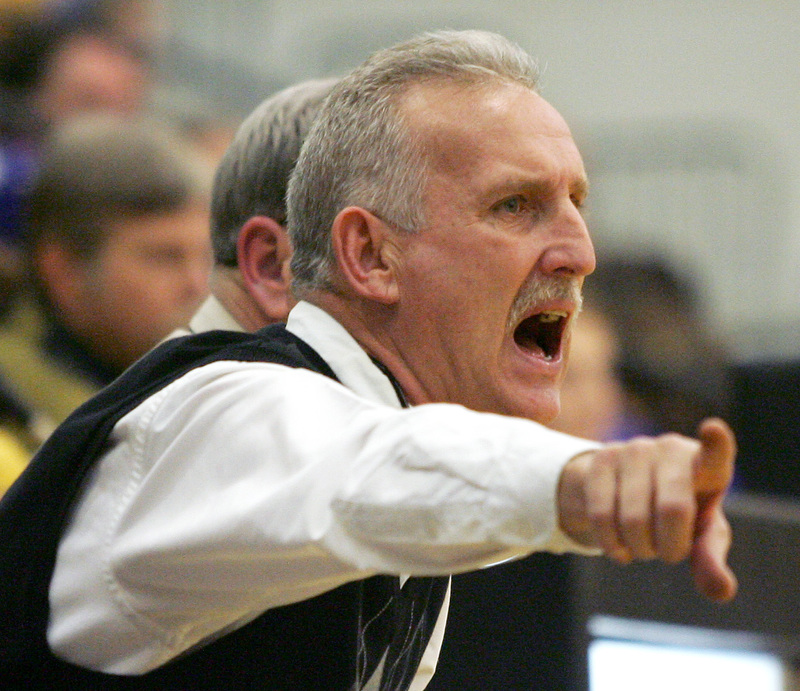 Head Coach Randy Mefford yells instructions to his players from the bench. Curry drives the lane during the second half.